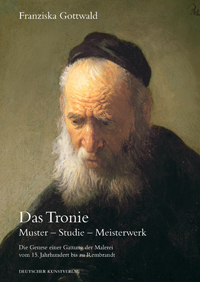 Lamentably, modern scholarship on Hans Burgkmair (1473-1531) has languished since the landmark publication by Tilman Falk of his life and work up to 1512 (1968), the major exhibition of his graphic work (1973) or the lone study by Peter Halm on the drawings (1962). Yet this Augsburg master of painting, drawing, and woodcut design created major works for both Emperor Maximilian I and Duke Albrecht IV of Bavaria, as an accomplished contemporary rival even to Dürer. 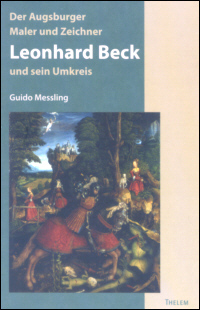 Thus this welcome new volume, the result of a major 2014 colloquium, fills a major void in German Renaissance art history and helps restore Burgkmair to his rightful early modern prominence. The volume begins, fittingly, with the dean of Burgkmair studies, Tilman Falk himself. His essay (1-28) provides both historiography and a response to many key issues of analysis. 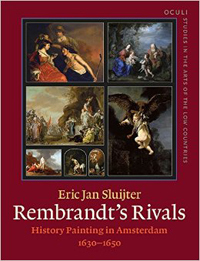 He points out that neglect has always dogged the artist, including minimal references to him already in Sandrart (1675), who even lived in Augsburg for a time. Falk lays out his oeuvre totals: authentic drawings at 86 extant works (and we all hope for final publication of his opus magnum on these drawings); plus some 45 paintings (whose catalogue raisonné remains a major desideratum, perhaps as a valuable dissertation project). Falk makes a good point that Burgkmair was more painter than draughtsman, in contrast to Dürer; he also notes that almost all preparatory drawings of both compositions and details, including many portrait studies (where Burgkmair's early contributions are still undervalued, including the 1498 double marriage portrait of Jakob Fugger, fig. 32), are lost. But this essay still builds largely around drawing examples in ink or chalk. Falk convincingly locates the debated trip to Venice in 1507, tied to a project (printed but unpublished; see Josef Garber, 1915) of relic woodcuts for Hall in Tirol, and also evidenced by numerous references to specific Renaissance architectural motifs in his imagery as well as the absorption of Venetian color in paintings. He also claims that Dürer likely passed through Augsburg on his own 1507 return from Italy, in addition to the later documented meeting of the two artists at the Diet of Augsburg in 1518. Meanwhile, the shift in Burgkmair's art under Italian influence coincided with his association with Conrad Peutinger and Emperor Maximilian in the same latter years of the new century's first decade, particularly for historical imagery. Thereafter the considerable contributions by Burgkmair to woodcuts included major innovations in colored ("chiaroscuro") prints (1508-12) with Jost de Negker. After that wide-ranging initial essay, which sets up issues for the remainder of this volume, excellent additional studies focus more closely on individual topics. About the issue of historical imagery, documentation for Maximilian is examined through the Weisskunig illustrations by Thomas Schauerte (29-43), and the artist's close Peutinger connection is studied by Ashley West (45-67). Adoption of Italian ornament is analyzed by Christoph Bellot (69-156) in a large essay that more broadly considers Stilwandel. That essay also underscores one major quality of this volume: it does not prescribe fixed lengths for the investigation of its topics, so it allows each topic to be explored at appropriate length. The next essays primarily address Burgkmair's graphic works. Burgkmair miniatures for the margins of Maximilian's Prayerbook are analyzed (315-32) by the expert on that project, Heidrun Lange-Krach; her essay should be supplemented by Lange-Krach's brilliant dissertation on the Prayerbook for Augsburg University (2016) and by the study of Albrecht Altdorfer's (and his workshop's) contributions by Magdalena Bushart (2004; 159-92; Bushart will also publish elsewhere a topic that she originally presented in this setting, about Burgkmair and Jost de Negker). Equally novel and indispensible is the examination of color in Burgkmair prints by Elizabeth Savage (333-66; with complete catalogue). Elke Bujok presents Burgkmair's important woodcuts about Balthasar Springer's expedition to India (367-93), a topic of considerable relevance to early modern global contacts (though more intensely revisited as a result, including good studies in English, well cited in her notes). She also discusses artifacts imported from the New World in relation to Burgkmair's ethnographic details. In a final essay about Burgkmair drawings, Iris Brahms (395-414) discusses their pictorial presence, both in portraits and representations of holy figures. The remaining essays link Burgkmair to other media. Hartmut Scholz (415-38) discusses Burgkmair as a designer for Augsburg stained glass, a topic only briefly presented in the landmark American exhibition, Painting on Light (2000) and one often neglected when considering the output of artists of this period (though Dürer, as usual, does get such attention). Matthias Weniger (439-64) offers a renewed connection between Burgkmair and Augsburg sculptor Sebastian Loscher, most closely associated with the Fugger Chapel in St Anne's, Augsburg, but also resided with the Burgkmair family. Loscher and Burgkmair also worked together on the Rose Garlands retable for the wealthy Imhoff family's chapel in Nuremberg (1520-33; figs. 1-7), and here Weniger adds other possible Loscher collaborations with Burgkmair designs. One other essay of related interest, by Martin Hirsch about Burgkmair and medals, will also be published separately. Dürer's Nuremberg has long been the focus of scholarly attention, to the detriment of the lively art production and related early modern explorations of form and content in Augsburg. 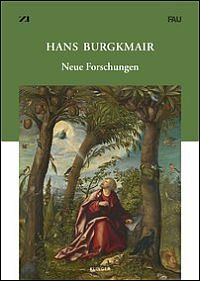 With this new volume, however, the proper role of Hans Burgkmair in Augsburg, both independently and in collaboration with other artists and media, emerges much more forcefully. All of the essays are outstanding and original contributions, well served by clear illustrations (often in color) by the press. We still must wait for Falk's catalogue of the drawings as well as a future catalogue of the paintings for a fuller overview and assessment, but at last Hans Burgkmair is emerging from his historical shadows.